In this post I highlighted the link between Barack Obama's communist childhood mentor, Frank Marshall Davis and Chicago journalist Vernon Jarrett, father-in-law of senior Obama adviser Valerie Jarrett. I cited the link as evidence that the communist networks that touched Obama in both Hawaii and Chicago were connected. Vernon Jarrett and Frank Marshall Davis worked together in a communist front, the Citizen's Committee to Aid Packinghouse Workers in 1948 Chicago-the same year Davis moved to Hawaii. More than forty years later Vernon Jarrett followed Obama's career in Chicago and used his newspaper column to promote Obama's successful Senate campaign in 2004. The question is-did some of Frank Marshall Davis' old Chicago comrades aid Barack Obama's career in Chicago more than four decades on? The faculty members included known Party members Frank Marshall Davis, David Englestein, William L. Patterson, Geraldyne Lightfoot, Claude Lightfoot, Ishmael Flory and Earl Durham. Frank Marshall Davis went off to work for the Hawaiian Communist Party, gradually sinking into obscurity. His former comrade and colleague, Earl Durham rose to the top of the communist ladder and went on to make a major impact on Chicago education and politics. After working studying the psychopharmacology of heroin addiction, Earl Durham made the decision to earn a master's degree at the School of Social Service Administration at the University of Chicago. On graduation he was hired by the School as a professor, where "he was able to influence many students to consider community organizing as a career". I was a graduate student at the U of Chicago in the 1970s, and had Earl Durham for a professor. and taught us about Saul Alinsky who had walked those very same streets of Hyde Park and other Chicago neighborhoods. In the early 1980s Earl Durham worked with the Communist Party and Democratic Socialists of America to elect Chicago's first black mayor, long time communist front activist Harold Washington. It was Washington's election in 1983 that inspired Barack Obama to move to Chicago. Obama even unsuccessfully wrote away for a job in the Washington administration. Earl Durham's brother, writer Richard Durham, served as Washington's speechwriter. While never a confirmed party member , Richard Durham participated in several communist controlled organizations. In the 1950s, Durham worked as the national program director of the communist controlled United Packinghouse Workers of America. 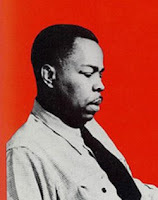 At the same time he founded the Chicago's Du Bois Theater Guild, with Vernon Jarrett and Oscar Brown, Jr. , a Communist Party member member and another former official of Frank Marshall Davis' "Citizen's Committee to Aid Packinghouse Workers". 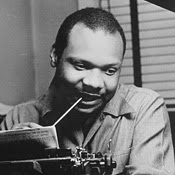 In the ealy 1980s, until Richard's death in 1984, both Durham brothers served on the board of the Black Press Institute, the Chicago propaganda organization run by pro-Soviet Illinois State Senator, Alice Palmer. In 1995 Alice Palmer launched the political career of her chief-of-staff Barack Obama, at a meeting in the Hyde Park home of former Weather Underground terrorists Bill Ayers and Bernardine Dohrn. In 1989, Earl Durham had served on the board of the Chicago Committee in Solidarity with Southern Africa, along with Alice Palmer another long time Obama friend and supporter Timuel Black. 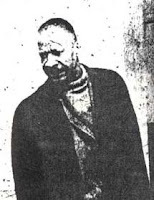 Later, Timuel Black was a leader of the Communist Party breakaway group Committees of Correspondence. A 1994 Chicago Committes of Correspondence "Membership, subscription and mailing" in my possession includes the names of Earl Durham, Alice Palmer, Bill Ayers and Bernardine Dohrn. Earl Durham wrote the Chicago School Reform Act of 1988, which shifted decision-making to the school level and created Chicago's unique Local School Councils. These reforms created an opening which was heavily exploited by radicals like Bill Ayers and Mike Klonsky and the up and coming Barack Obama. In the mid 1990s Earl Durham and Barack Obama almost certainly crossed paths in a new Chicago organization, Community Organizing and Family Issues (COFI). Earl Durham was founding board member of the organization, while Barack Obama served in 1994-95 on the COFI sponsoring committee. COFI, like many Chicago community groups was a respectable "front" for radical activism. * Jackie Grimshaw, Obama's Hyde Park next door neighbour, Democratic Socialists of America honoree board member of the radical DSA controlled Midwest Academy. * Barbara Engel, served with Bernardine Dorhn in 1991 on a committee of the communist front organization, Chicago Committee to Defend the Bill of Rights. *Anne Hallet, signer of a 2008 statement in support of Bill Ayers, active with both Illinois and national ACORN. *Judy Hertz, involved with Illinois ACORN and the Midwest Academy. *Elce Redmond, recently close to the Chicago Communist Party and active in the Committees of Correspondence/Democratic Socialists of America dominated Chicago Political Economy Group. *Mary Scott-Boria, 1998 co-president of the Democratic Socialists of America influenced Progressive Chicago Area Network (PROCAN). *Ellen Schumer, board member of the Committees of Correspondence/Democratic Socialists of America infiltrated, Obama, Ayers, Dohrn and Earl Durham supported Crossroads Fund. 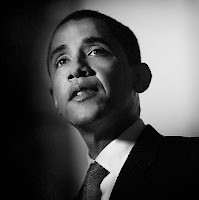 That Barack Obama has mixed with Alinskyites, communists and socialists for his entire time in Chicago is beyond doubt. That Barack Obama was mentored in Hawaii from the age of 11 to 18 by communist Frank Marshall Davis, is also well documented. Vernon Jarrett and Earl Durham were both connected with Frank Marshall Davis. Both men and their interconnected circles helped, directly or indirectly, Barack Obama's rise through the world of Chicago far left politics. Would Barack Obama be the leader of the Free World today, had it not been for Frank Marshall Davis, Vernon Jarrett, Earl Durham and their Chicago comrades? Yes! It matters that America has elected someone whose world view grew from his Muslim and Communists upbringing…in other words a Totalitarian world view. In my view his narcissism and commitment to Socialism and transforming America into a Soviet State shows me he hates freedom. This article is so important. And, Yes, it matters. The question I have is what to do with this information? How can we effectively educate U.S. citizens about the awful truth of Obama's past??? How can we wake people up??? Also, as a side note, I would like some really good investigative reporting about what Michelle Obama did to get her Attorney license suspended by the State of Illinois. And, just what was she doing for Major Daley? As they say, birds flock together. I believe it is,true, Then why can't we have this traiter of the American people, andget rid if all his cronies, by getting him IMPEACHED on the grounds he is not an american citizen, because of his illegal birth certificate, and illegal vises and passports. Other presidents have done less? please reply. Our kids are at stake.